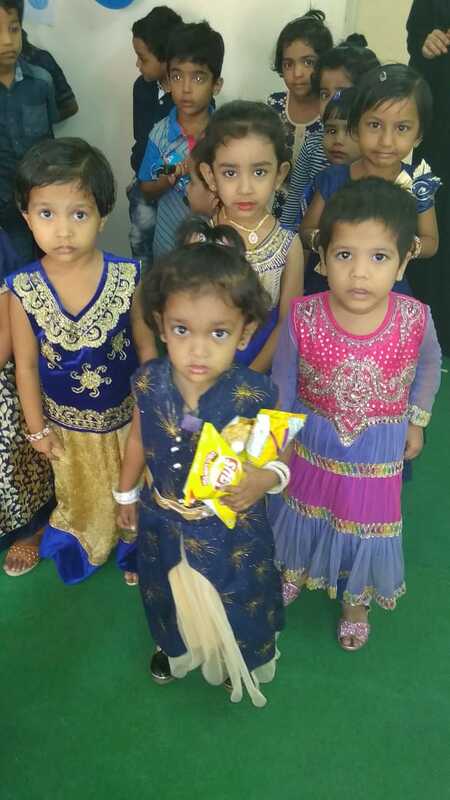 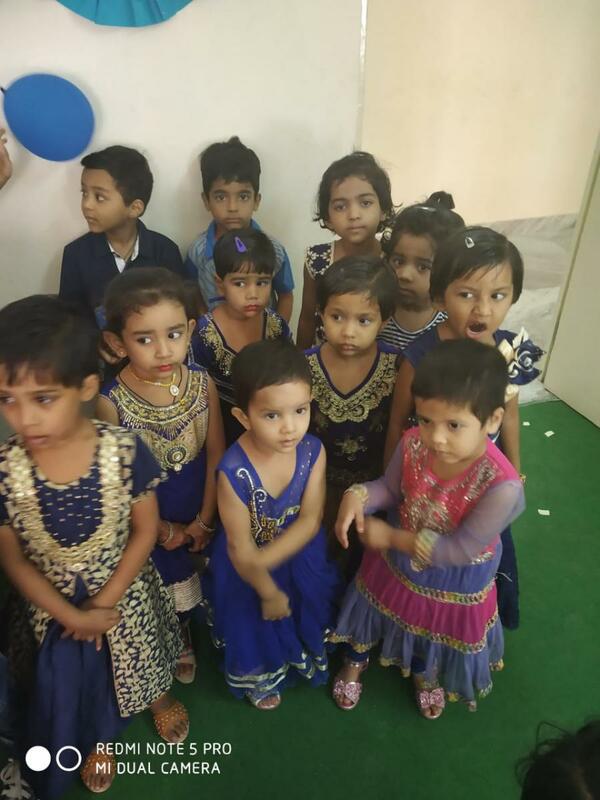 It was a pleasant and a cool blue day for the tiny tots. 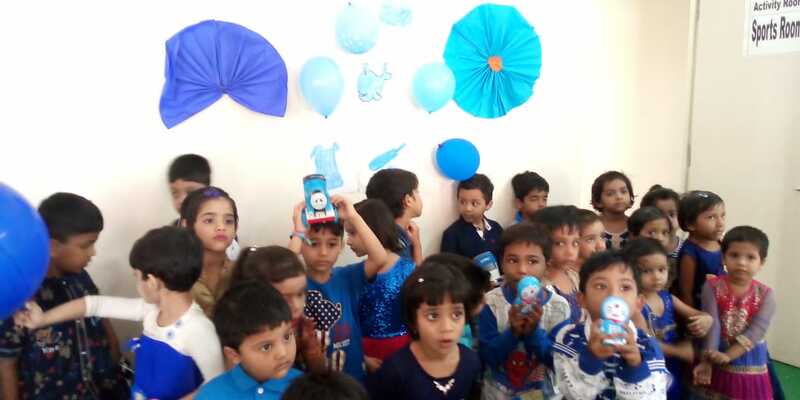 Blue -the color of loyalty , strength ,wisdom and trust had a very positive impact on tiny tots bringing on harmony and brotherhood. 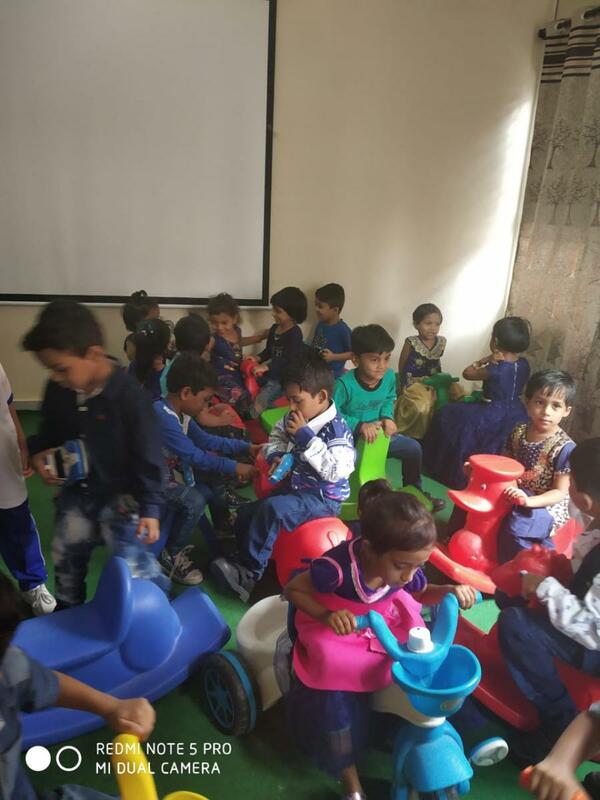 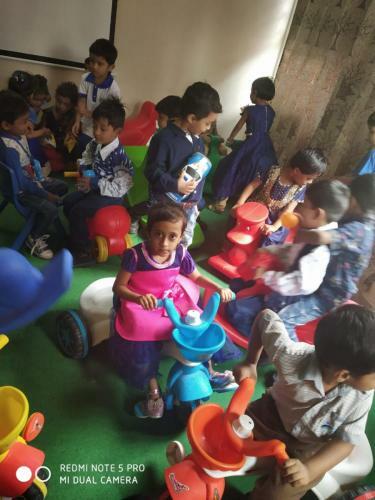 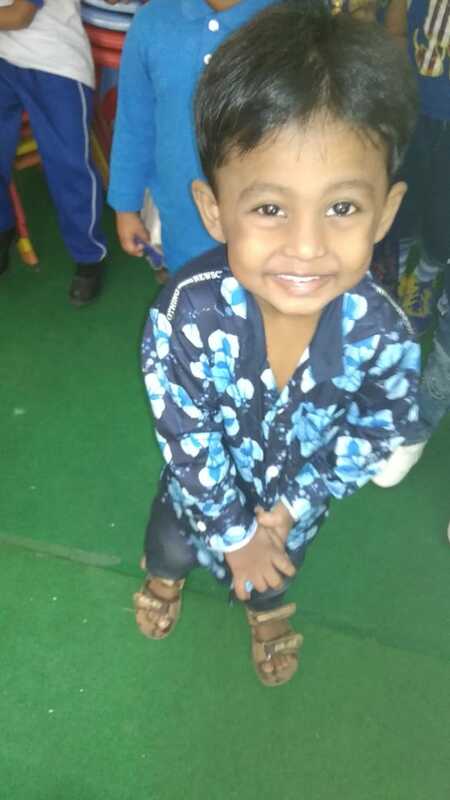 Teachers arranged games and fun program for tiny tots. 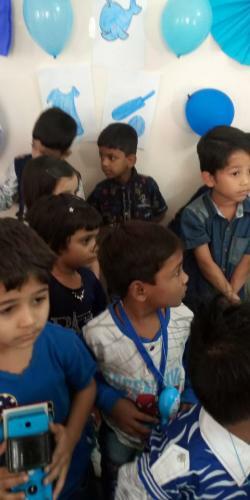 Excitement and enthusiasm was visible everyone. 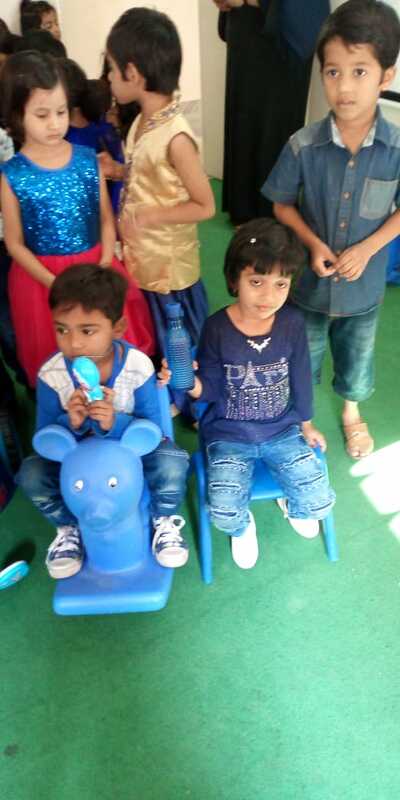 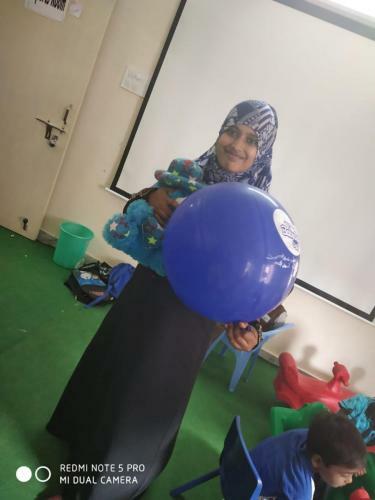 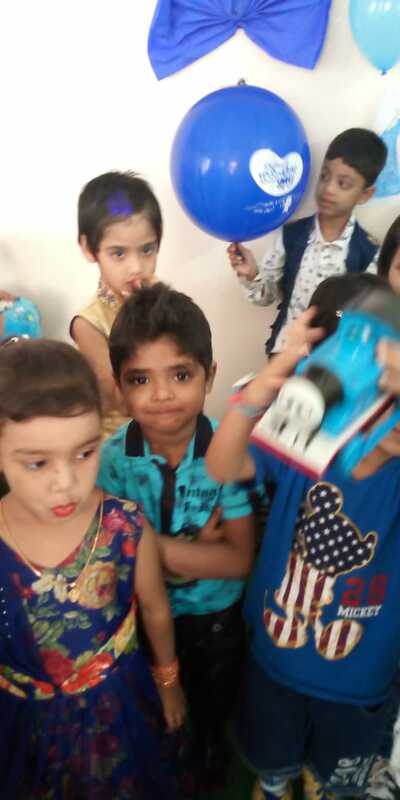 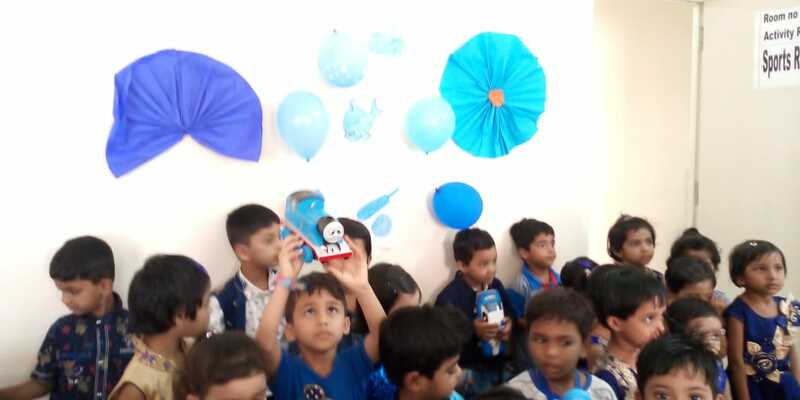 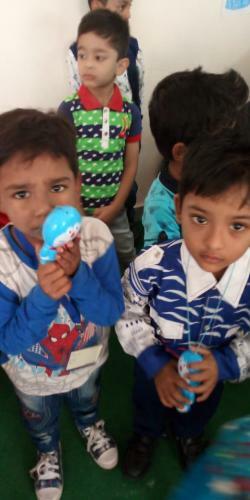 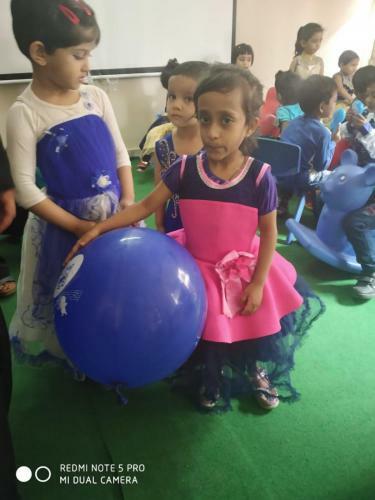 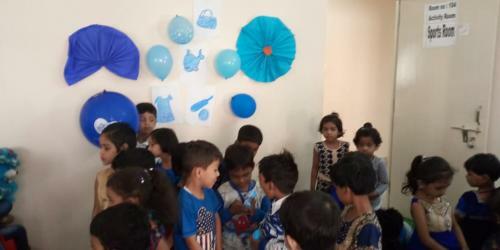 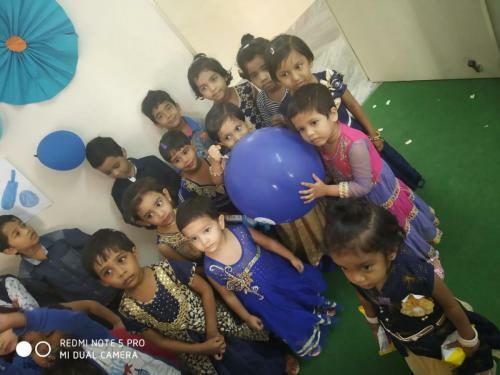 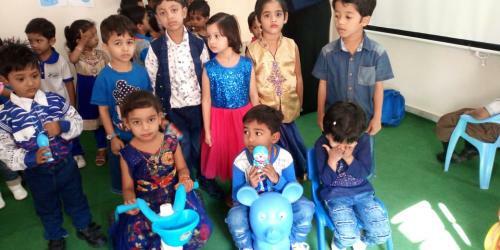 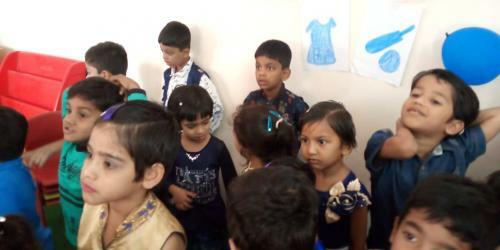 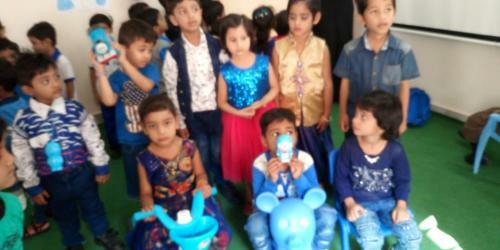 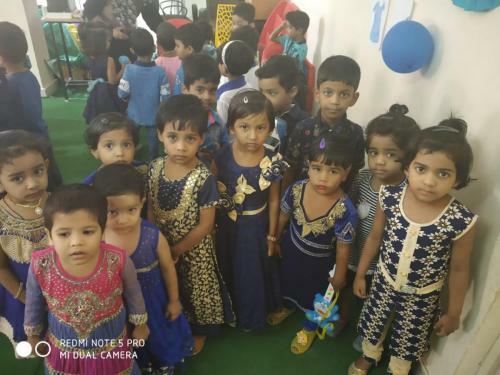 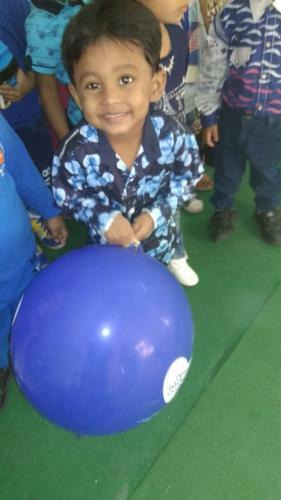 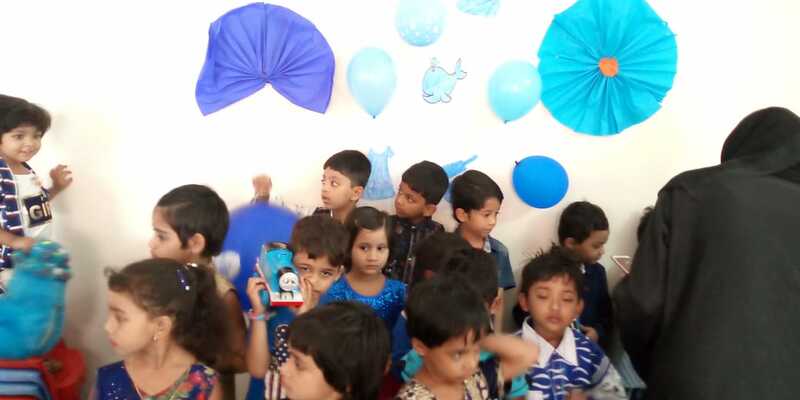 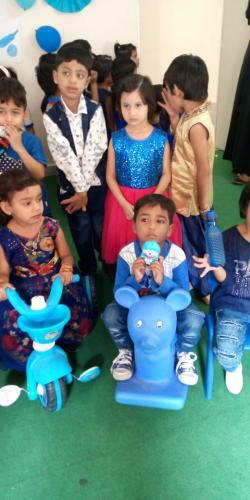 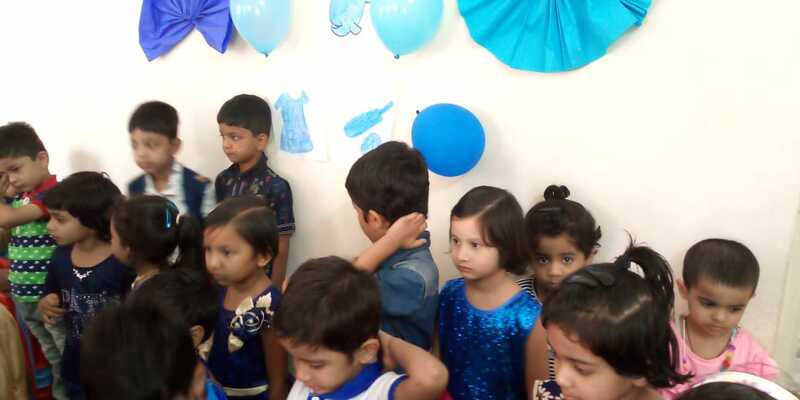 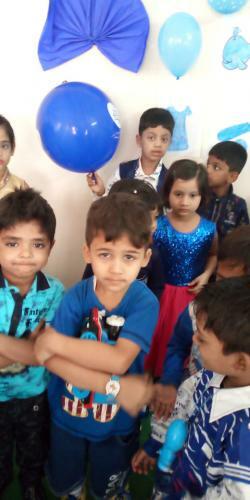 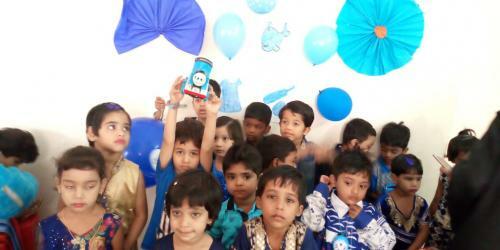 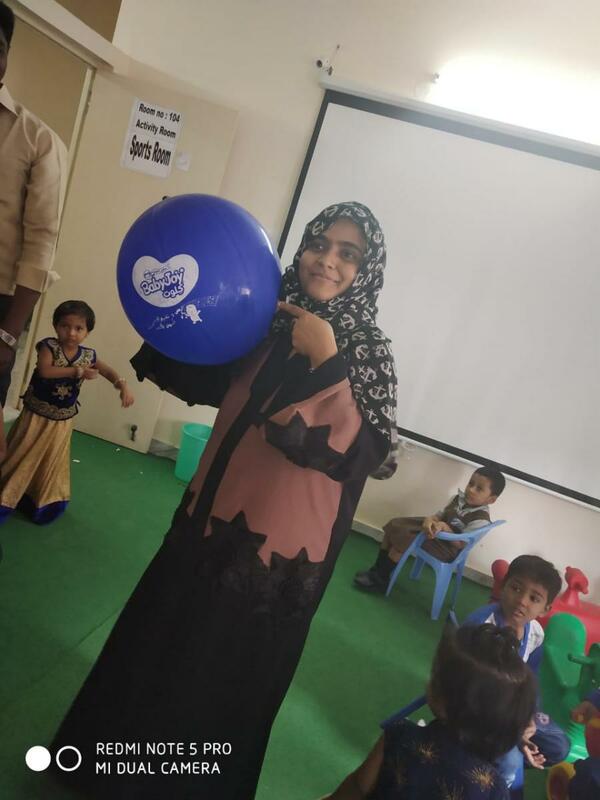 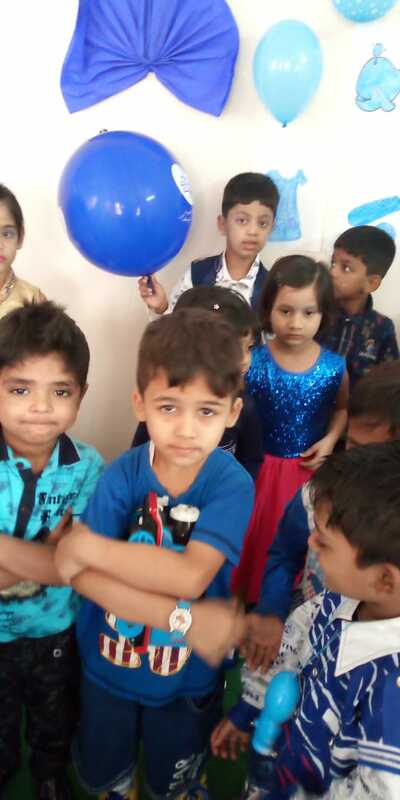 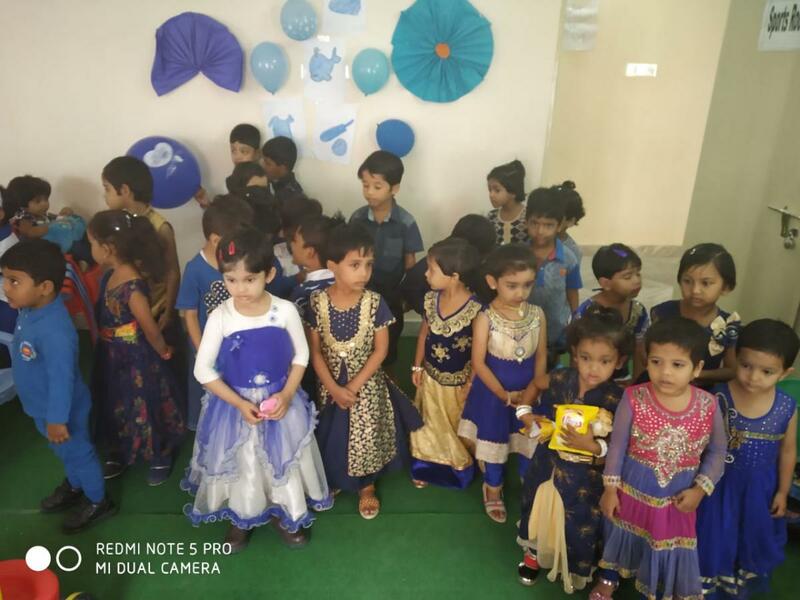 The classroom were decorated with blue ballons and children were introduced to different shade of blue. 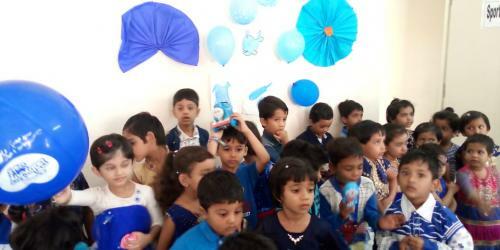 It was indeed a visual treat to see the good effects of blue color on our little ones.